We have teamed up with Glasgow based craft brewers Jaw Brew. 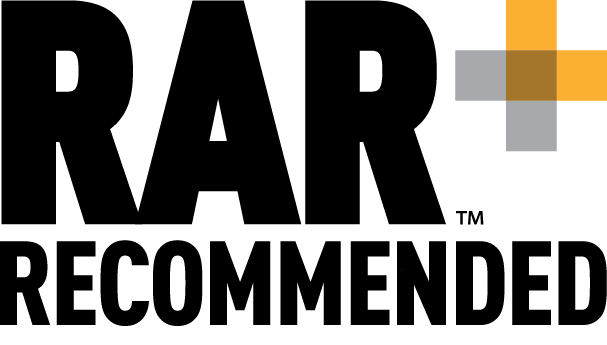 They have expertly brewed a crisp, clean refreshing beer with a distinct rich coffee flavour. 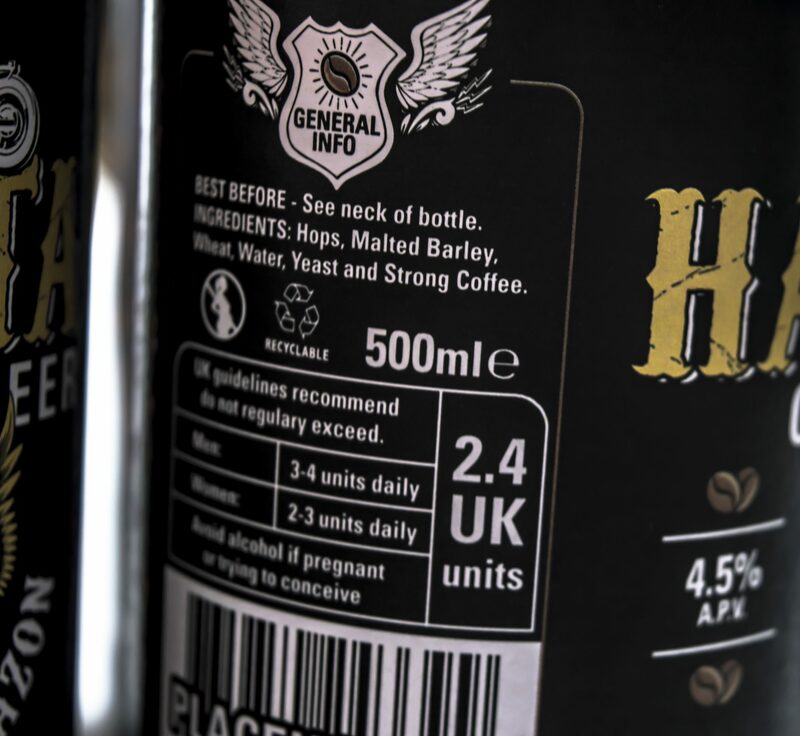 Our beer is made from Hops, Malted Barley, Wheat, Water, Yeast and Sons of Amazon coffee. We have used no artificial flavours or additives. 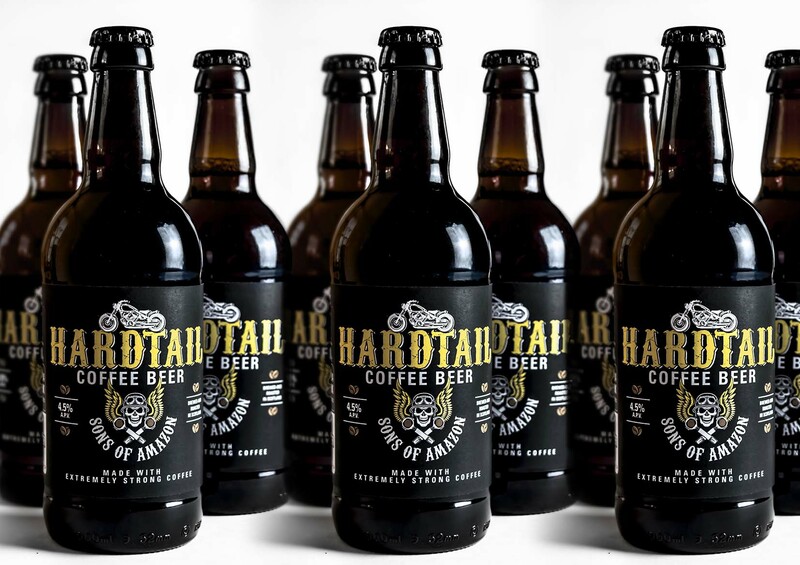 The result is a clean refreshing beer with distinct and rich coffee flavours which releases hazelnut, cinnamon and chocolate notes on the palate. A perfect refreshing pick me up! 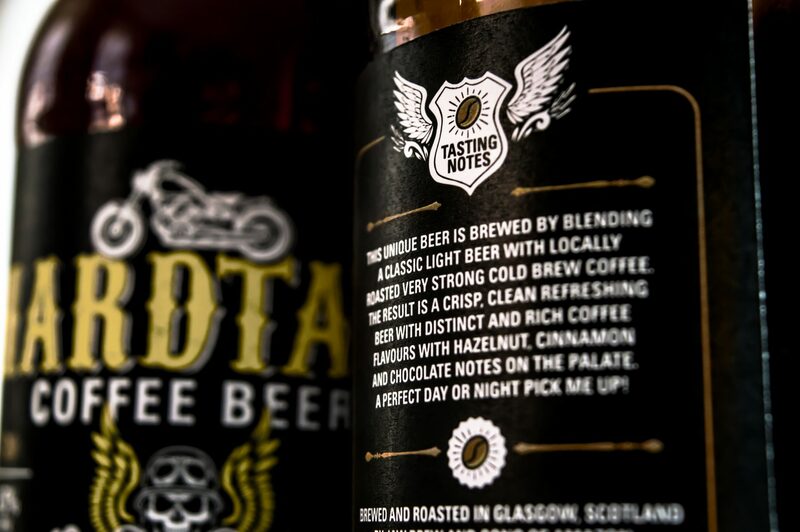 If your wondering, a ‘Hardtail’ is a type of motorbike as depicted on the front of our labels. 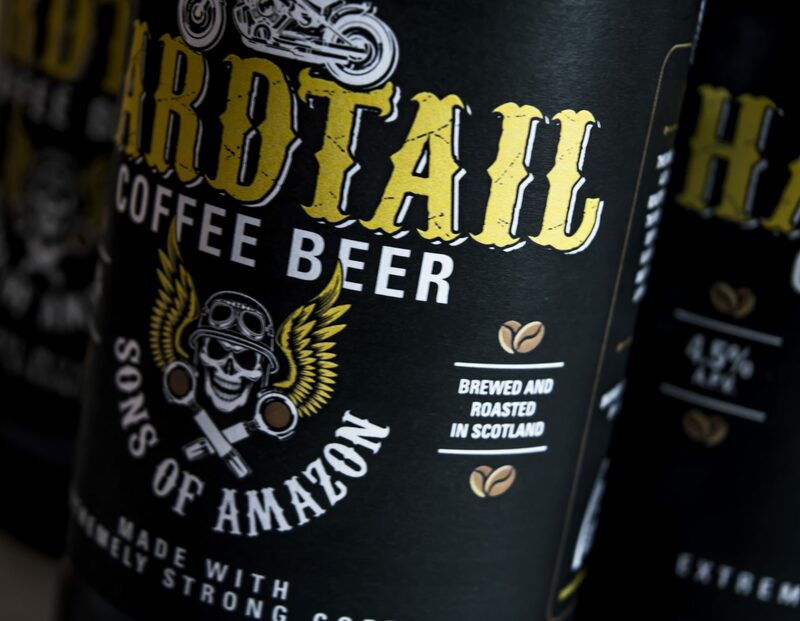 Hardtail beer is a brand extension from Sons of Amazon coffee, jointly owned by Eric Witham and Marco Giambastani. The Sons of Amazon Coffee brand was launched last year and is sector leader in ‘strong coffee’ on the Amazon platform in 5 European stores. Provence and traceability are key factors in both products and all the coffee is purchased and produced through the Rainforest Alliance.